Can you handle this Jack-O-Latern? 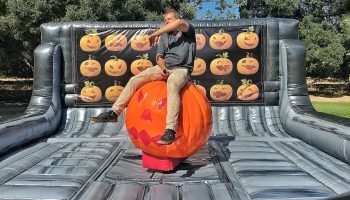 Rent our new amazing Halloween Mechanical Pumpkin Ride Rental for your next halloween or harvest event. Sit on top of this Huge pumpkin and let us take you for a spin. 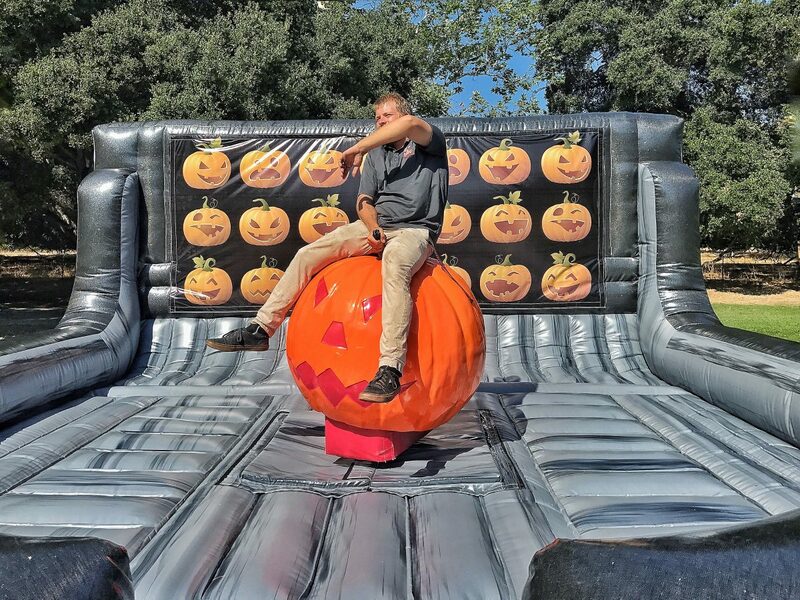 Just like a mechanical bull our Halloween Mechanical Pumpkin Ride Rental will buck and spin to try to throw you off. We operate all our mechanical rides to ensure you and your guests enjoy your party and are safe. 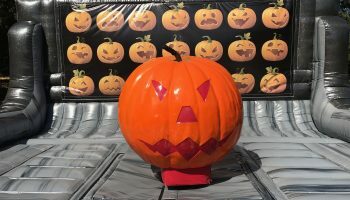 Our amazing Halloween Mechanical Pumpkin Ride Rental has many options if you want to customize. 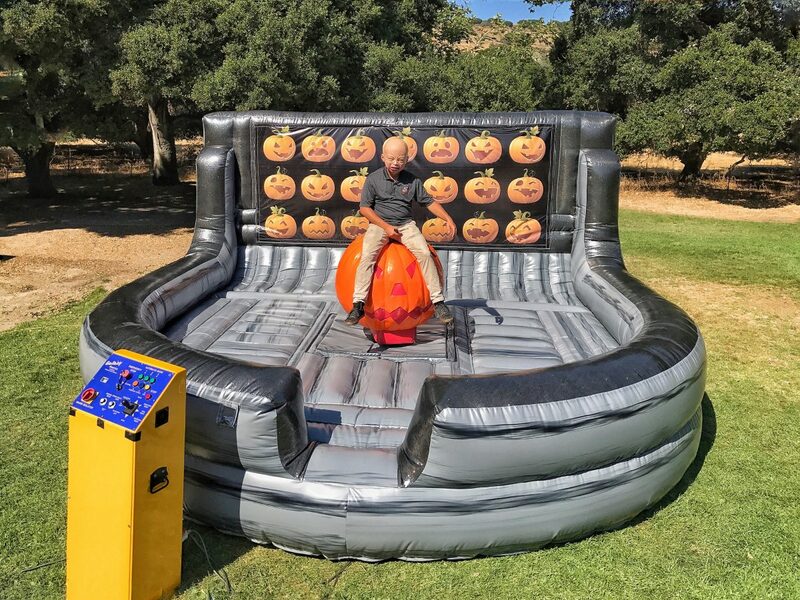 The inflatable base has a removable banner on the back so you can brand this Halloween Mechanical Pumpkin Ride Rental with your company logo or special hashtag message. We also have built this mechanical pumpkin to have lighting underneath so at night events the jack-o-laterns eyes and mouth light up and make it a very special experience. Ask us about adding our Mechanical Spider ride to your next event also. 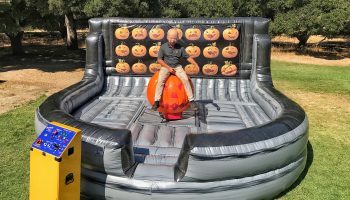 We deliver all our Halloween attractions, Carnival Rides, and unique carnival games to the entire San Francisco Bay Area. Included in our delivery you will receive fun games and safe inflatables to be installed. 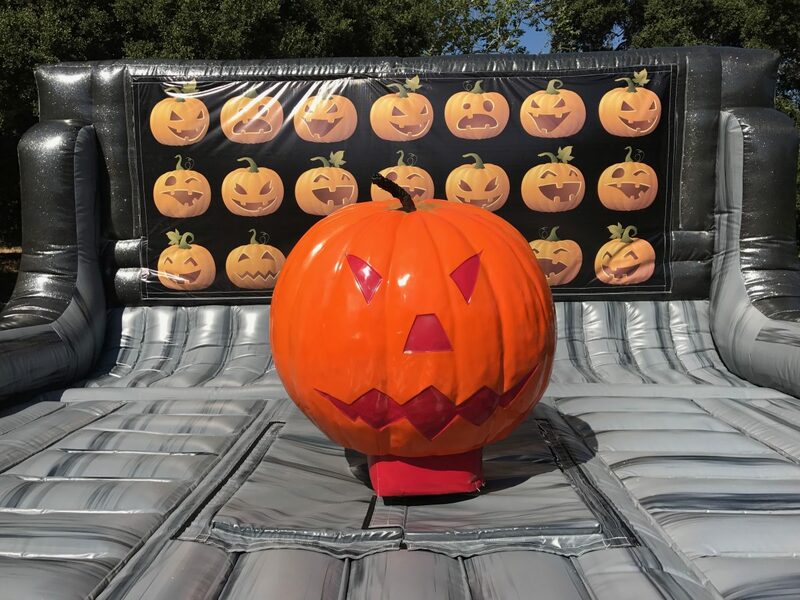 The areas we serve for our halloween games and rides include San Francisco, San Jose, Palo Alto, Mountain View, Oakland, East Bay, Santa Cruz, Paso Robles, San Luis Obispo, and the entire central coast of California.